HMOs began capitating medical groups and physician groups in the 1980s. Due to this, that is when Capitated Provider Excess Loss or Provider Stop-Loss coverage came into being. The coverage offered was limited and overpriced and it was provided to the providers ONLY through the HMOs. Now, you can purchase this form of insurance, through a broker, directly from the insurance company often with better terms and a much better price. 1. Find a broker experienced in this form of insurance. In selecting a broker it is important to understand that Capitation Stop-Loss/Provider Excess Loss is a specialized insurance product offered by only a select number of insurance carriers. As a result, these carriers or division of carriers do not intermingle with the other types of coverage sought by health care providers. Also, these carriers work with and give better consideration in reference to premium and coverage to brokers who have a long history and experience in this product line. 2. Claims support. This form of insurance is all about claims and getting them paid. Because of this make sure the broker that you select offers a claims support service with experienced claims personnel that work with you and your staff to assist in the reporting and filing obligations throughout the year, as well as make sure that the insurer reimburses your claims promptly and correctly. 3. Verification of Policy. Your broker should ensure that your policy matches the original proposal and subsequent negotiations that were agreed upon. 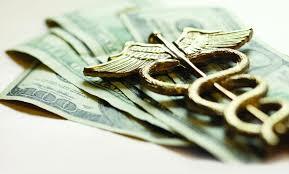 And, remove, or get clarified confusing or uncertain language that can affect reimbursements. 4. Installation Meeting. The broker you choose should have an installation meeting with your claims and other personnel to fully discuss the specifics of the stop-loss policy and most importantly the reporting and filing requirements. 5. Reinsurers Value Added Benefits. Your broker should explain to you the insurer’s “value added benefits” that can save you money. These are additional services provided by some of the carriers, for example access to transplant networks. Brokers often do not provide this information to the capitated provider. The primary role of a Capitated Provider Excess Loss/Stop-Loss broker is service. Few brokers play a direct role in the entire insurance process. To get the full value from this form of insurance it is vital to select an experienced broker that offers these services.